We provide our business partners with a variety of easy, hassle free ways to engage with Young People and schools. Whether you can offer an hour of your time or a work placement for one week we have the right opportunity for you. To provide a young person with a work experience placement. UP to 8 Business Volunteers to mentor young people and judge their outcomes, useful to have insight into recycling, environmental and sustainability. (Duration: School day 8.30am - 3pm approx.). Business volunteers required to run a carousel of workshops. 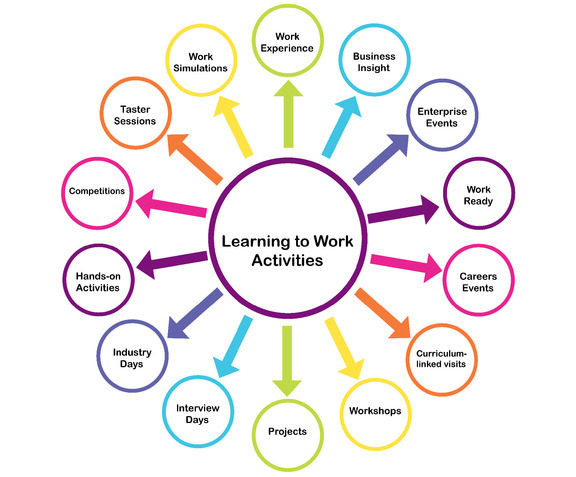 A host business to invite 15 Year 10 students to their workplace. 25 x Business Volunteers required to conduct 1-2-1 interviews for 7/8 15/16 year olds. Comprises 30 minute sessions (20 mins Interview/10 minutes feedback). (Duration: School day 8.30am - 3pm approx.). To provide a young person with a work experience placement, ideally in Engineering, Travel & Tourism, ESOL & Level 3 Business. Lego Mindstorm STEM Workshop - school event. Business Volunteers required to support the students helping them refine their ideas and play a key role in the market place. To provide a young person with a work experince placement. Business volunteers required - more information to follow. A business to host 15 Eton College students for the day to give them an insight to their business. 12 business volunteers, including a keynote speaker(s) to launch each session from various business sectors. In particular we are looking to showcase the careers of high performing females. Businesses to exhibit and showcase their companies and career opportunities within their companies. Please contact for a free stand. Business volunteers including graduates and apprentices are required to support and deliver a variety of activities. Those with an insight into the following: Branding, Networking, Enterprise, Interview Techniques, Working with People, Business structure, Event Management, Psychometric Profiling, Q&A and Speed Networking. Business volunteers required to assist with workshops, Q&A session, speed networking and CV workshop. Businesses required to host a free stand. Local counciller or MP to chat to the young people.